Is It Time To Fertilize Your Portfolio With Potash? Just a few short years ago, agriculture chemical stocks found themselves front-and-center on investors’ radars, as well as the focus of momentum players. In particular, shares of Potash (NYSE:POT) soared from mid-teens to $80 in a span of fifteen months from March 2007 to June 2008. The bubble popped as the global economic crisis revealed itself. Today, five years after its inaugural ascent into greener pastures and trading at nearly 50% of its peak, the once high-flying darling of the street Potash appears to have fallen by the wayside, as well as off of the radars of investors, which has prompted us to ask the following: Is it time to fertilize your portfolio with Potash? Numerous hedge funds appear to think so. Richard Chilton, Robert Pohly, Jim Simons, and Phil Gross all held healthy positions as of the end of last year. 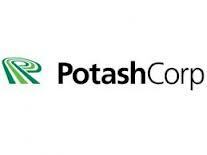 Potash Corporation of Saskatchewan Inc., together with its subsidiaries, produces and sells fertilizers and related industrial and feed products primarily in the United States and Canada. The company mines and produces potash, which is used as fertilizer. It also offers solid and liquid phosphate fertilizers, animal feed supplements, and industrial acids that are used in food products and industrial processes. In addition, the company produces nitrogen fertilizers and nitrogen feed, as well as industrial products, including ammonia, urea, nitrogen solutions, ammonium nitrate, and nitric acid. Additionally, Potash holds the right to mine 785,867 acres of land in Saskatchewan and 58,263 acres of land in New Brunswick Canada. Although the company missed earnings expectations in both Q3 and Q4 of 2011, the shares have seemingly found demand from buyers at the $40 level. Moving forward, analysts are projecting year-over-year EPS growth of 4.5% with revenues growing a tad better than 6% for fiscal 2012. Looking out to 2013, EPS and revenue growth are anticipated at 6% and 6.7% respectively and at current levels, sport a 12.8X forward multiple, which is a slight premium to that of Mosaic Company (NYSE: MOS), CF Industries Holdings Inc. (NYSE: CF) and Agrium Inc. (NYSE: AGU). However, the stock has a lower forward earnings multiple than Sociedad Quimica y Minera S.A. (NYSE: SQM) and CVR Partners, LP (NYSE: UAN). Despite global economic conditions, which remain tepid after multiple doses of accommodative actions via global central banks, the landscape for agri-chemical companies and that of Potash may be improving now. While economic uncertainty has left traders and distributors somewhat fearful of being caught with overstocked inventories, such concerns have recently eased. Potash has just disclosed the re-opening of two of its mines in Saskatchewan, which had been closed in December and January due to slack demand. Although the mines were slated for re-opening in April, current strong demand has facilitated the fast-track status. Furthermore, news last week that Canpotex, the consortium of POT, MOS and AGU finalized a deal to deliver 500,000 metric tons of potash to China based Sinofert Holdings in the second quarter, which holds prices steady and includes an option for an additional 200,000 tons, appears to be yet another sign of confirmation in the change of landscape. Although macroeconomic challenges persist throughout the globe, the U.S Department of Agriculture in its recently released report in February noted that they expect record corn plantations by U.S. farmers in 2012. We expect the demand for corn to be strong because of increasing global consumption, particularly in China and India. That’s why we think agricultural chemicals are in a secular bull market. However, we don’t expect Potash or Mosaic to deliver the same enormous returns they had during the fast and furious days of 2007 and 2008. These are now value stocks that offer attractive risk-reward combinations and they should have decent returns over the long-term.